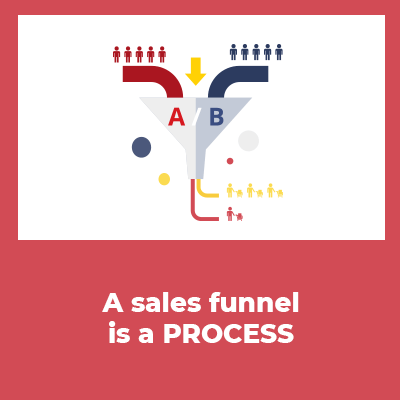 Basically, a sales funnel is a carefully predetermined sequence of steps that's designed to encourage a full shopping cart. Plus, in the video below, I’m also going to explain how these funnels have been used to build HUGE network marketing organizations, and how you can unlock these powerful recruiting systems to grow your team. Eventually, you walk out of that store with a guitar. You went through a series of steps that transformed you from someone who wasn't even thinking about buying a guitar into someone who spent hundreds, if not thousands, of dollars on a guitar – all in a matter of minutes! And if you really got value out of the education, recommendations, and experience provided by said store, you'll likely refer all of your guitar-loving friends to that shop, right? Step two: something caught your eye – the guitar in the window. Step three: You're interested, and walk into the store. When that salesperson in the store asks questions, they're doing so make you feel understood, to educate you, and to make sure they serve you in the best way possible. And if the prospect feels good about the interaction, you'll make a sale. At this point, you know they're interested in what you have, because they’ve given you their information. But that's not where the funnel ends. Once they become a recurring customer, they become an advocate—referring business to you because they believe so strongly in what you're doing. That's what an effective sales funnel does. The visitor becomes a lead when they submit their information – on a website, a web form of some kind, or some type of capture mechanism – because they're interested in learning about something, but they're not necessarily ready to buy. They're not ready to join you…yet. Now they're ready to become a team member. Now they're actively doing something to build their business. Now they're generating prospects and customers on their own. But that's still not where the funnel ends, either. So now, you educate them about how they can be effective at helping others accomplish what they've just accomplished. And that's key, because only when you're capable of leading other people and walking them through the process from visitor to builders and all the steps in between, do YOU become a leader. Building a funnel using the technologies we recommend here at Elite Marketing Pro allows you to not only recruit a lot of people into your business, it also leads people past the point where they've taken out their wallet and bought. This is what my friends Masa Cemazar and Miguel Montero, the Pyjama Bosses, do exceptionally well. They lead new people through a funnel that network marketers don’t often talk about, because it happens AFTER someone joins your team. You know, when you're making money while you sleep. And that's the ultimate goal of network marketing – creating true passive income! Masa and Miguel have created a large multiple seven-figure network marketing team. They spend only a couple hours a month overseeing their team because they've created that complete funnel that turns team members into builders and then into leaders, so that they can step away and do other stuff they're passionate about. But your funnel doesn't necessarily have to be. Thus, they've qualified themselves as leads. And you'll obviously deliver on what you offered. 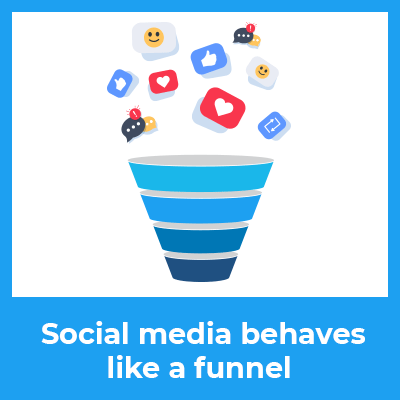 And even though you don't own the social media channel, treat it like a funnel. You can also use your Facebook groups as a funnel. We help you leverage both your own social media funnels and the attraction marketing funnels we've created to build your network marketing business. So whether you're building up your retail base or building your team, we've got you covered. The power of the funnels we teach you here at Elite Marketing Pro is vast. Fortunately, we have the tools to shorten the learning process and speed up your learning curve a heck of a lot faster. 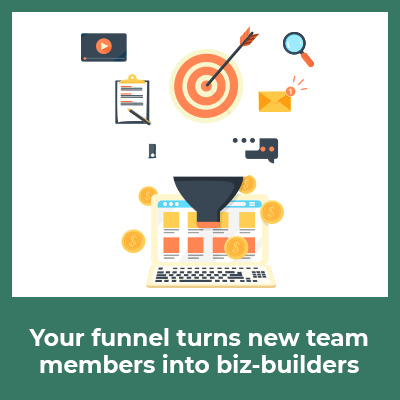 So if you'd like to discover exactly how we can help you build your own personalized funnels, then I highly recommend you sign up for my FREE Online Recruiting Bootcamp. It's a video course where I'll walk you through how to build your business using the latest technology—where prospects come to you on a daily basis—already interested in what you've got! You can take advantage of these methods starting today—no matter how much online prospecting and recruiting experience you have currently. In fact, I'll share exactly how my funnels currently generate 300–500 leads per day, 30–50 customers per day, and onboard 70–100 new serious business builders each month. These online attraction marketing methods continue to push the boundaries of what's possible in network marketing.